In an atmosphere of constant scrutiny, is your business up to scratch? Compass Group provides high quality audit assurance and consulting services to a wide range of clients including government agencies, the not-for-profit sector, superannuation funds and companies. Our Audit and Assurance team is based in Adelaide and Port Noarlunga South. Our risk based audit approach is designed to ensure that we can provide useful findings to management, boards and owners as well as provide us with sufficient audit evidence to support our audit opinion. Our high service standards and ability to work cooperatively with our clients are our biggest assets. Compass Group provides audit, review and agreed upon procedures services to a large number of community based not-for-profit associations, including community service clubs, sporting clubs, churches and charities. Our customised audit, review and agreed procedures programs can help you to meet the reporting requirements of your association. Compass Group has registered company auditors. We provide statutory audit and review services in accordance with the requirements of the Corporations Act 2001, banks, shareholders or other interested parties. Our audit approach identifies key areas of risk and directs audit activity to those areas, resulting in high quality yet cost effective solution for your business. We can also perform in-depth analysis of specific areas at your request. Compass Group audits a large number of self-managed superannuation funds. We can provide your superannuation fund with a quality, cost effective audit service that adds value and reduces the risk of non-compliance with legislated requirements. Holders of trust accounts must have the accounts and records audited annually. The audit process is seen as being extremely important, and penalties apply to holders of trust accounts who fail to have their trust account audited. Compass Group is experienced in the audit of trust accounts held by real estate agents, conveyancers, solicitors, accountants and other professionals. We take the stress out of the audit process by clearly communicating our audit requirements in advance, including what documentation and other evidence we need to see, and working with you to achieve lodgement deadlines. We also provide assistance to non-audit clients to improve their record keeping systems or to prepare for an audit by another auditor. Keep your business regulation compliant with our skilled support. We bring the insights you need to keep things running smoothly and move your business forward in the right direction. 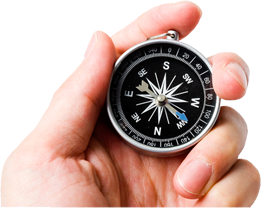 At Compass Group, we conduct your audit with a thorough understanding of your business, industry and all the regulatory standards that apply to you – so you don’t have to worry about it. We take into account the risks your company faces and how these are controlled. Our support enables you to make better-informed decisions, reducing information risk. We provide financial statement audits and self-managed superannuation funds audits. You can trust our knowledge, experience and attention to detail to keep your accounts in order at this crucial stage. Contact us now to get a quote.